I’m still going through old photos, and I found a few from late last year that are worth posting. 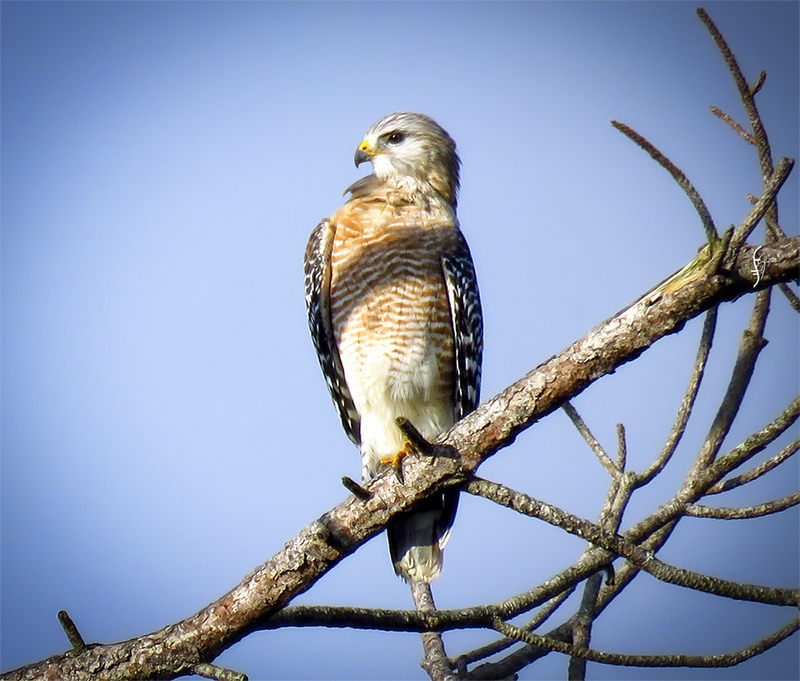 The first one is a red-shouldered hawk. I was on my way back from a trip to Corkscrew Marsh when I saw him perched in a tree, facing the morning light. I parked, jumped out of the car, and walked back toward him. I couldn’t get close enough to suit me, but I had both cameras with me, and I chose the Canon with the superzoom. This is a gray catbird. I don’t remember where I was when I took this shot. 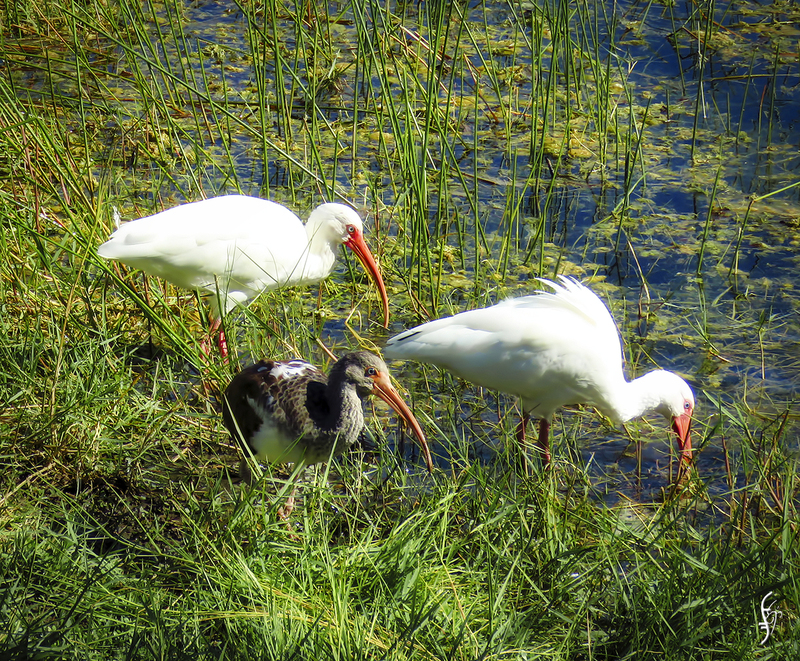 Lastly, a trio of ibis. They were at Camille Lake, near where I used to live. The grayish one is a juvenile. He’ll turn white as he matures. He already has a white patch on his back. 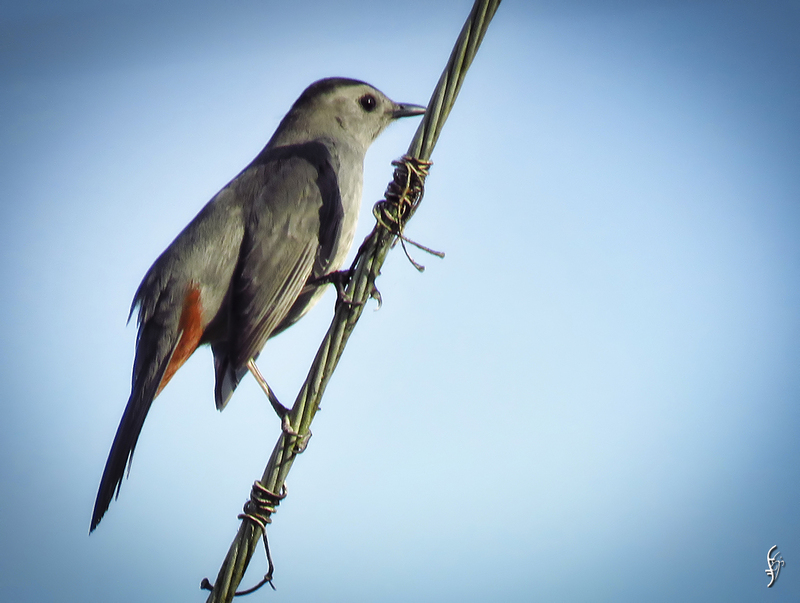 This entry was posted in photography, RL and tagged birds, photography. Bookmark the permalink. A lovely touch of nature for a wintry Monday…. You have snow, eh? My sympathies. Heh.